The Alice Network is truly one of the most beautiful books I have ever read! 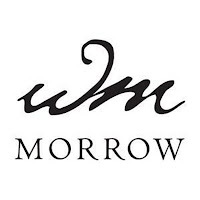 Now I know that is a bold statement, but I truly stand behind that statement; from its cover, to the rough edge, to the amazing story, that truly rocked my world, that when you finish the book, your mind is blown. But let me tell you about the book; The Alice Network is more than just one woman's tale of finding her cousin; it more than one man's struggle to right the wrong he committed; and it's even more than a old women's desire for revenge! And while all those things are true, in this book. 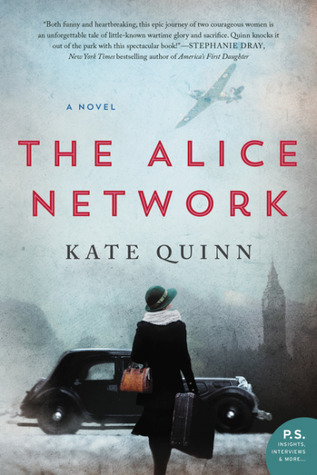 But The Alice Network is unique TO ME, as that the story has a ring of truth to it, and though I am English and studied WW1 and WW2 in secondary (High) school, I was taught very little about the women's role in the war, outside of the home front and nursing, so after reading this book, I started reading all I could about Louise de Bettignies, who was a spy for the British in World War 1, under the pseudonym Alice Dubois!! And if you read though the Author notes, there is a further reading section, which I'm planning on reading through. The Alice Network is set over two time periods, we start in 1947, after World War 2, and with American/French Charlie St. Clair, an unwed pregnant young women, who was still reeling from the loss of her brother, and the longing to find her cousin, whom disappeared in France during the war. Her French mother was determined to resolve her "little problem" and then return to America like nothing had ever happened! But Charlie was determined to find her cousin, and to do that she had to escape from her mothers watchful eye, and get to London to find Eve Gardiner, the one women who might help her. Now the second time period of this book is 1915, and Eve Gardiner story, which is a story of pain, betrayal, and determination of a young women, determined to do her part in the Great War, but one that left her broken, until 1947, when a determined young American arrives on her doorstep, looking for help! Oh my goodness, I could literally go on for days, raving about this book, and how amazing it is, but I implore you all to read this book! And be prepared to become as impassioned about this book as I am. I give The Alice Network 5 stars! To find out more and connect with Kate Quinn, click below for her website.